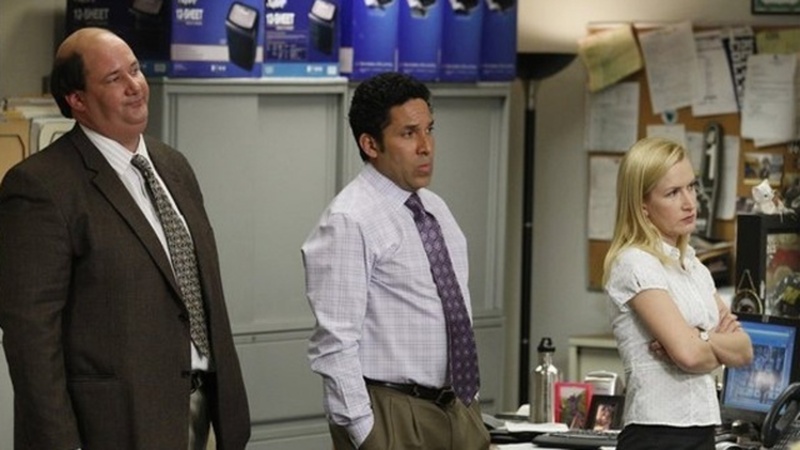 'The Office' reunion panel will take place at Keystone Comic Con in September – AiPT! Most of the band will be getting back together in Pennsylvania this September. The Office has been sorely missed on television since its final episode in 2013, leaving many fans of the show desperately wanting a reunion episode or reboot. While a few members of the cast have said they’d like that to happen, we now have confirmation of a reunion, even if it’s non-televised. ReedPOP, the company behind New York Comic Con and the upcoming inaugural Keystone Comic Con in Philadelphia, announced today that an Office reunion will take place at the latter event in September. The reunion will fittingly take place in Pennsylvania, the home state of Dunder Mifflin’s Scranton branch. “The Office, with its Scranton roots, has become ingrained with the state of Pennsylvania and we know that fans of the show are in for a very special experience this year,” said Lance Fensterman, Global Head of ReedPOP. The reunion panel will include Angela Kinsey (Angela Martin), Brian Baumgartner (Kevin Malone), Oscar Nuñez (Oscar Martinez), Creed Bratton (Creed Bratton), Leslie David Baker (Stanley Hudson), and Catherine Tate (Nellie Bertram). Sadly, Steve Carrell (Michael Scott) has not made the commitment. NORWALK, CT – July 16, 2018 – ReedPOP, the world’s leading producer of pop culture events, today announced that a mini reunion of ‘The Office’ will take place at the inaugural Keystone Comic Con! Angela Kinsey (Angela Martin), Brian Baumgartner (Kevin Malone), Oscar Nuñez (Oscar Martinez), Creed Bratton (Creed Bratton) and Leslie David Baker (Stanley Hudson) will be joining the previously announced Catherine Tate (Nellie Bertram) at the three-day convention, which will take place September 14-16, 2018 in Philadelphia at the Pennsylvania Convention Center. Last week, ReedPOP announced True Blood cast members Anna Paquin, Stephen Moyer, Joe Manganiello and Kristin Bauer will also be attending Keystone Comic Con as guests. Keystone Comic Con will feature all the elements that fans have come to expect from ReedPOP’s family of pop culture conventions, including New York Comic Con, C2E2, and Emerald City Comic Con, but with a local twist that will be unique to the Keystone State. Bringing together legendary comic talent, comic publishers, small press, entertainment guests and anime, ReedPOP is crafting an incredible experience that will represent the best of pop culture in Philadelphia and allow fans to discover new content and celebrate their passions. This year marks the inaugural Keystone Comic Con, which will take place at the Philadelphia Convention Center on September 14-16, 2018. Additional confirmed guests include comic creators, voice actors, music artists, and Hollywood talent including John Barrowman (Doctor Who, Torchwood, Arrow), Catherine Tate (Doctor Who, The Office), anime voice actor Vic Mignogna (Fullmetal Alchemist, Dragon Ball Z), rapper and record producer Sammus, Carroll Spinney (Sesame Street’s Big Bird & Oscar the Grouch) and many more. For more information and updates on the convention, visit http://www.keystonecomiccon.com/.